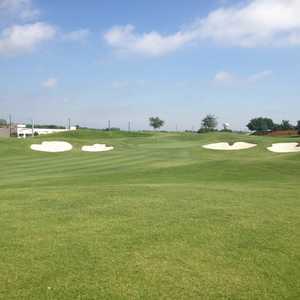 McKINNEY, Texas -- First came the Dallas Cowboys Golf Club, an award-winner in Grapevine, designed by Jeff Brauer. Now comes The Dallas Stars Country Club at Stonebridge Ranch. ClubCorp put this partnership in motion with the Dallas Stars of the National Hockey League teaming with Stonebridge Ranch in McKinney. 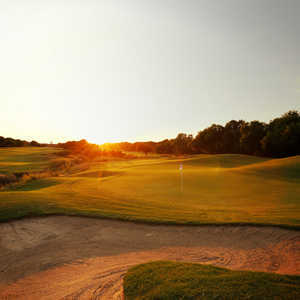 The Stonebridge Ranch 45-hole golf community north of Dallas is first-class. It includes an 18-hole Pete Dye signature design, considered one of the state's toughest layouts, and 27 designed by Arthur Hills and Doug Fiene, which are considered more forgiving. The unique partnership was forged by ClubCorp, Stonebridge's Board of Governors, and executives of the area's NHL franchise, the Dallas Stars. The current clubhouse will get a makeover with Dallas Stars decorations, framed photos of team members and memorabilia of the former Stanley Cup champs. Current standing golf members of The Clubs of Stonebridge Ranch will be given vouchers for complimentary tickets and a parking pass to a Stars game each season. Stars season ticket holders get a benefit, too. They will receive a Stars membership to the country club and two rounds of golf. Work has already begun on the clubhouse transformation. If you love golf and auto racing, The Doral Tesoro Hotel and Golf Club, formerly known as The Creeks at Beechwood, has a deal for you. The raceway and redesigned Jay Morrish golf course, only 20 minutes from downtown Fort Worth, is partnering with Panoz Racing School to put guests in the drivers seat with "Hot Laps" and "Practice Your Drive" packages. The Speedway, host to American Lemans, Indy Racing League, and NASCAR, and Doral Tesoro make speed dreams come true as guests get behind the wheel of the same professionally prepared, pure-performance built, 5-liter Panoz GT-RA race car as their racing idols. Professional Panoz instructors, many of them champion auto racing competitors, give speed tips and racing strategies, such as how to increase cornering speed and race a car to its absolute limits. You will need to hurry. The Doral Tesoro Hotel and Golf Club Hot Laps Package starts at $225 and the final running will be Dec. 6-13. It includes two "hot laps" on the infield road course at Texas Motor Speedway with Panoz Driving Instructors. Accommodations, breakfast for two and a round of golf including cart and green fees are included. Call the Doral Tesoro Hotel and Golf Club at (817) 961-0800 or visit doraltesoro.com for more information. The Houston Golf Association, which stages the Shell Houston Open, has announced the tournament will stay at Redstone Golf Club through 2005. Initially, plans outlined a stay through 2004 before moving to another layout designed by Rees Jones that is adjacent to Redstone, which was designed by Peter Jacobsen and Jim Hardy, who is a resident of Houston. Fred Couples, a University of Houston alum, won the first SHO at Redstone and most PGA Tour players echoed they love the new Redstone layout. After some delays, construction has begun on the Rees Jones course at Redstone Golf Club that will be the site of the 2006 Shell Houston Open PGA TOUR event. The 7,550-yard, par-72 layout is scheduled for completion in the spring of 2005. The Rees Jones Course will be a high-end daily-fee course that will be open to the public and eventually include a 250-room hotel and conference. Good news - Redstone says that no real estate development will be associated with the new course. PGA Tour player David Toms will be the PGA TOUR player consultant on the project. Keith Foster, one of the best golf-course architects who specializes in golf course makeovers, has finished work on the 73-year-old Westwood Country Club -- now named Westwood Golf Club. Members here remember stories told over the years about a country club that was built before Houston's growth exploded. Located in the Southwest Freeway and Bissonnet area, it was only a two-lane road in those days. Today's Westwood is minus its tennis courts, swimming pool and banquet hall making this a "golf" only complex. Foster, a traditionalist who strives to save a course's early visions of the sport, was diligent to save Westwood's character, but included all of today's technology in rebuilding and reshaping. The original wooded course was built in 1930 by John Bredemus near downtown. They called it a garden-style course, immaculate and well-maintained, with flowers bordering almost every hole. Ralph Plummer designed nine new holes, which were added in 1958 and Joe Finger added five new holes and redesigned three others in 1970. Lakeway Inn and Conference Center on Lake Travis is celebrating its 40th birthday with special Stay & Play offers for golfers through Jan. 15. Rates have been reduced for several layouts including the new Flintrock Falls, a Jack Nicklaus design opened in 2002 -- son Jack II also helped with this layout. Other specials are available at its Live Oak and Yaupon layouts. Bed, breakfast and golf packages start at $159 plus tax. For details, call (800) LAKEWAY. Jack Nicklaus, winner of the 1963 PGA Championship at Dallas Athletic Club, has been hired to remodel the club and preserve the classic design of two courses some 40 years after his championship. The major change will be reconstruction of greens with the latest strain of bent grass. The courses will be give 200 to 300 addition yards in length and bunkers will be reshaped. Work will begin on the Gold Course in January and the Blue Course's work is set for a year later.